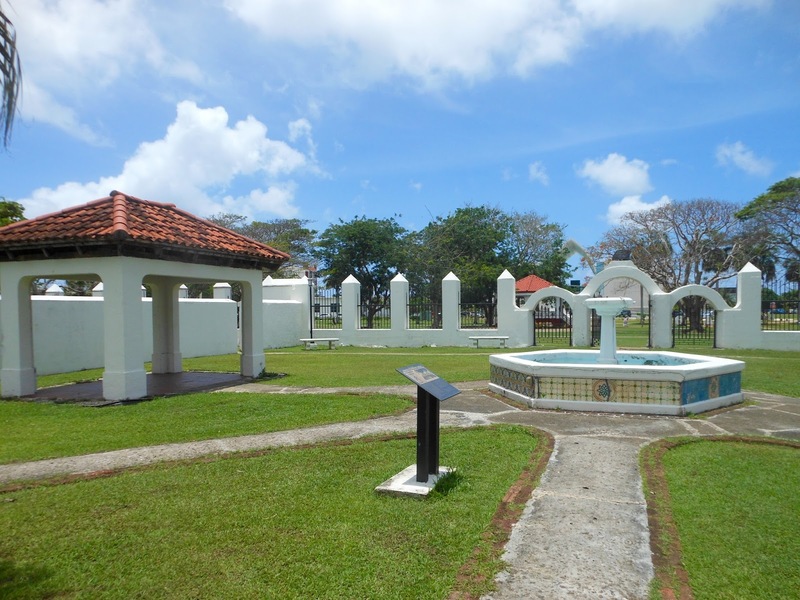 The Plaza de Espana, in Hagana, Guam, was the location of the Governor's Palace during the island's long period of Spanish occupation. 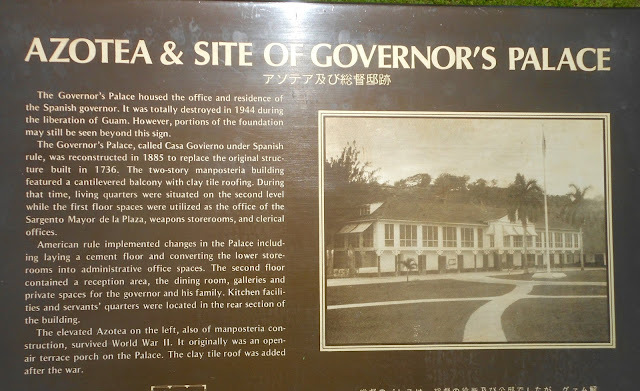 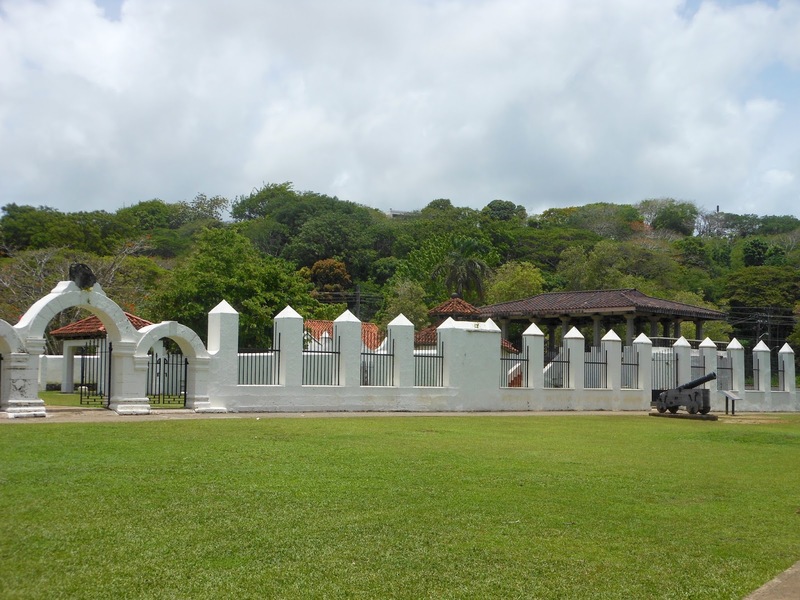 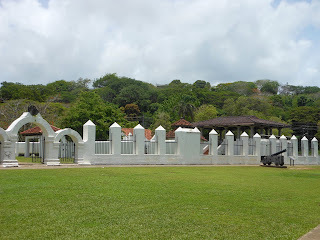 Most of the palace was destroyed during the shelling of Guam in World War II. 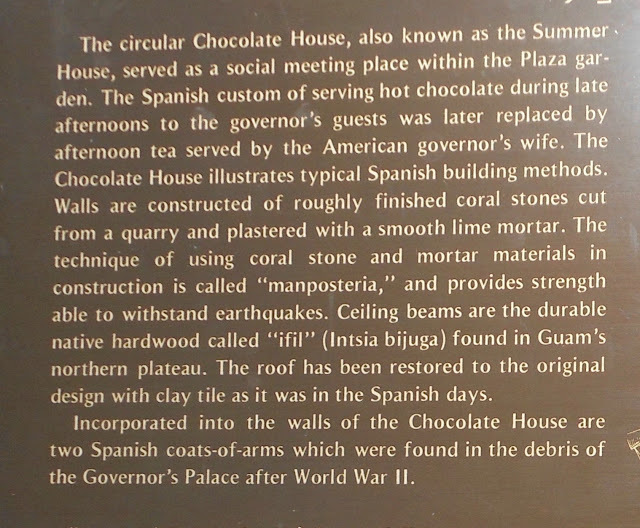 There are three structures still standing including the three-arch gate to Almacen, the azotea or back porch, and the Chocolate House. 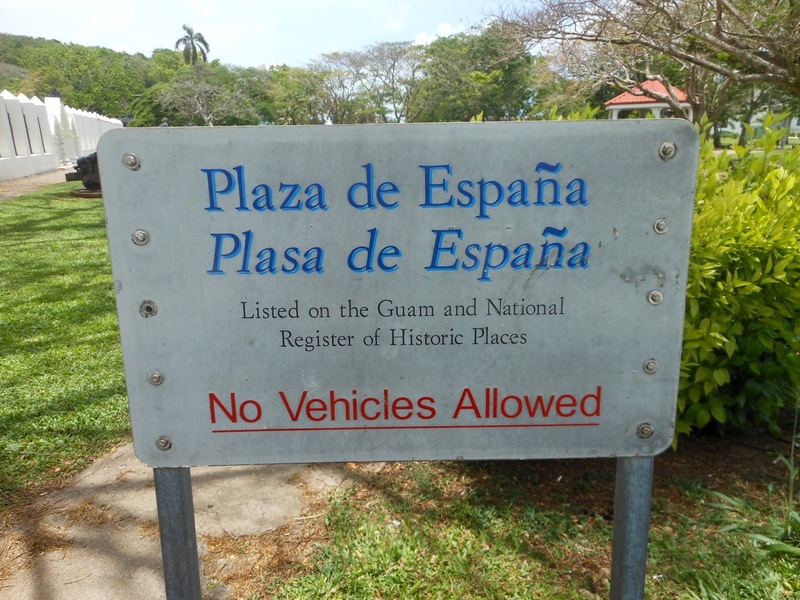 The plaza was listed on the National Register of Historic Places in 1974. 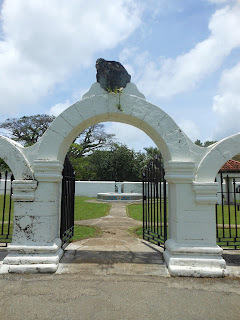 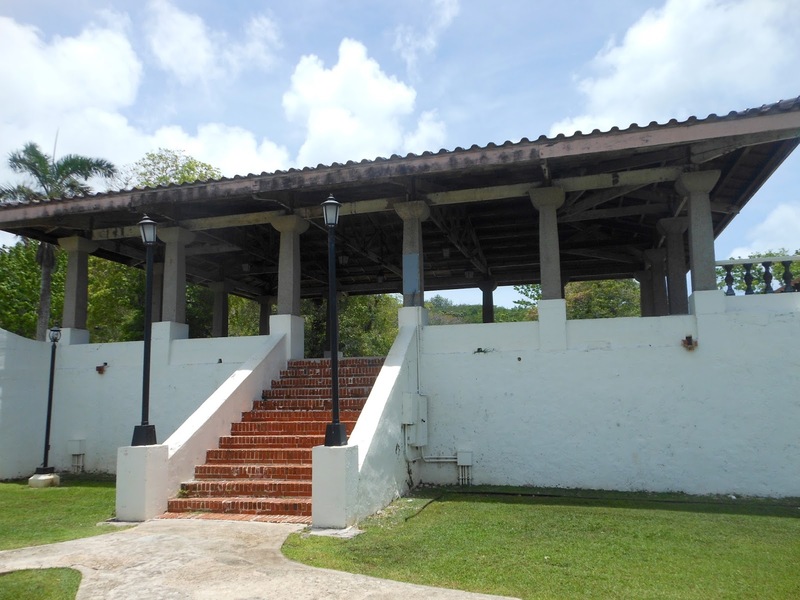 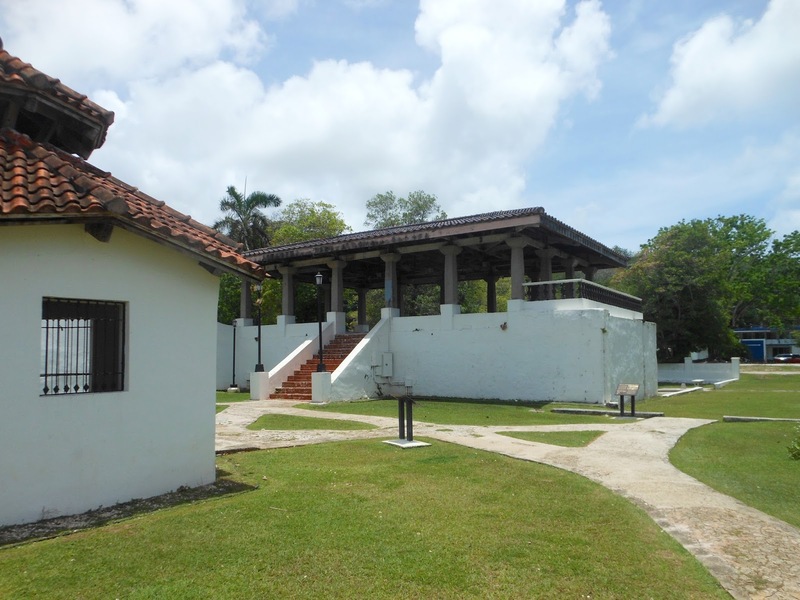 Kiosko or bandstand was located in front of the Governor's Palace during the Spanish time. 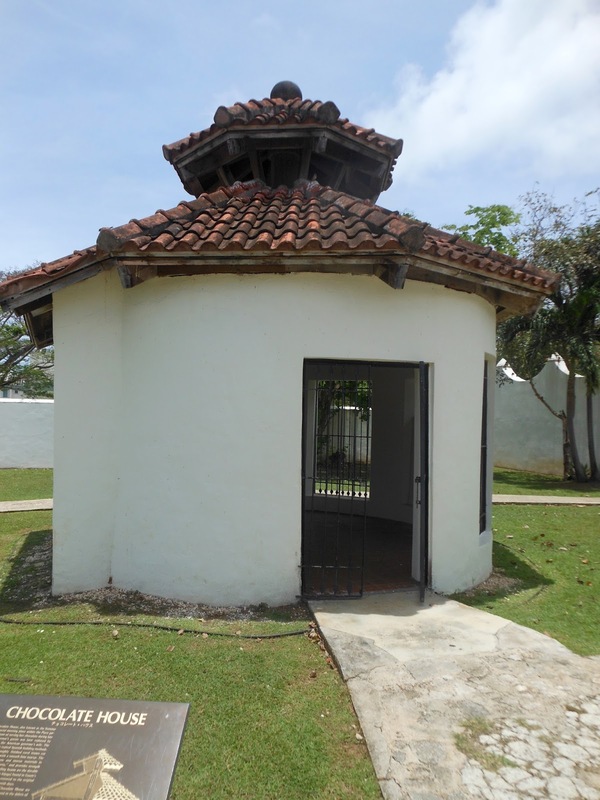 Early in the 1900's, the Americans moved the Kiosko to one side of the Plaza de Espana to allow for the Marines' baseball field. 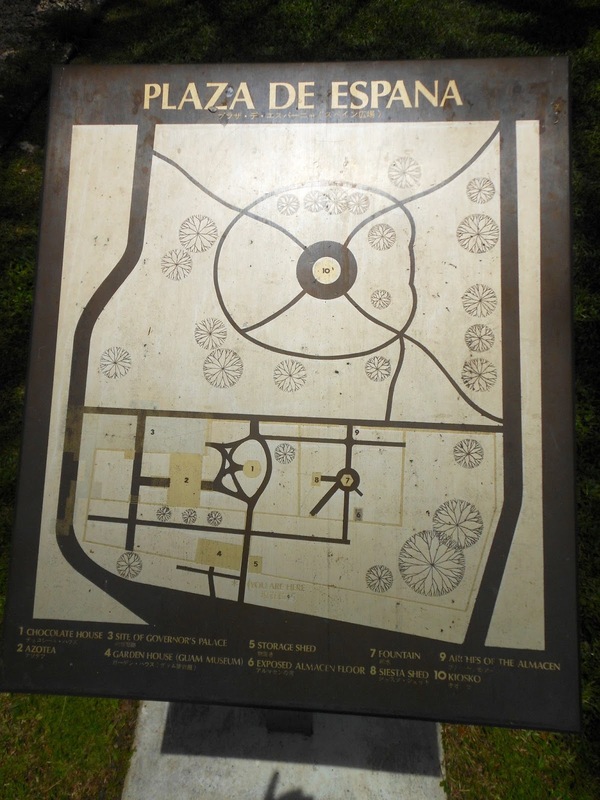 In 1930, the plaza was landscaped and the Kiosko was placed in its present location. 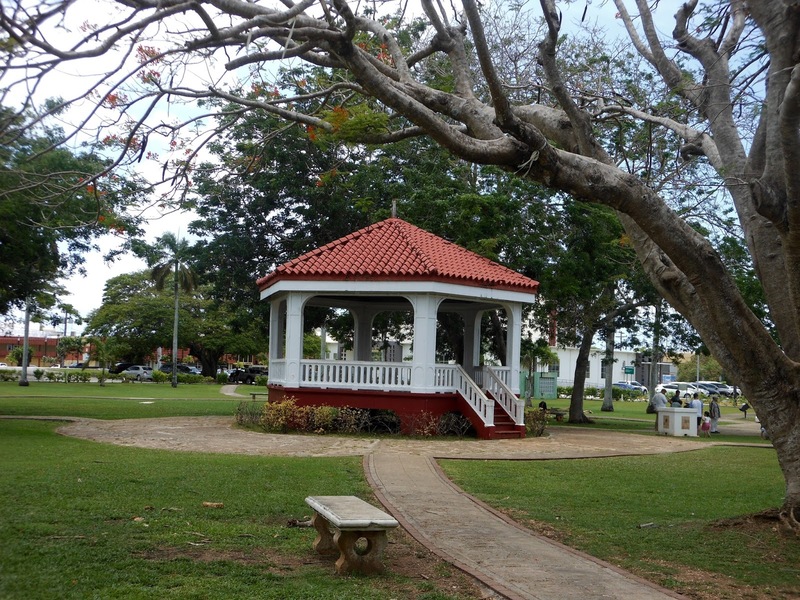 The Kiosko was destroyed in the naval bombardment of Agana in 1944 and was later rebuilt after the war. 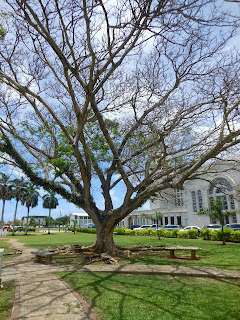 There are not many people around such a beautiful place! 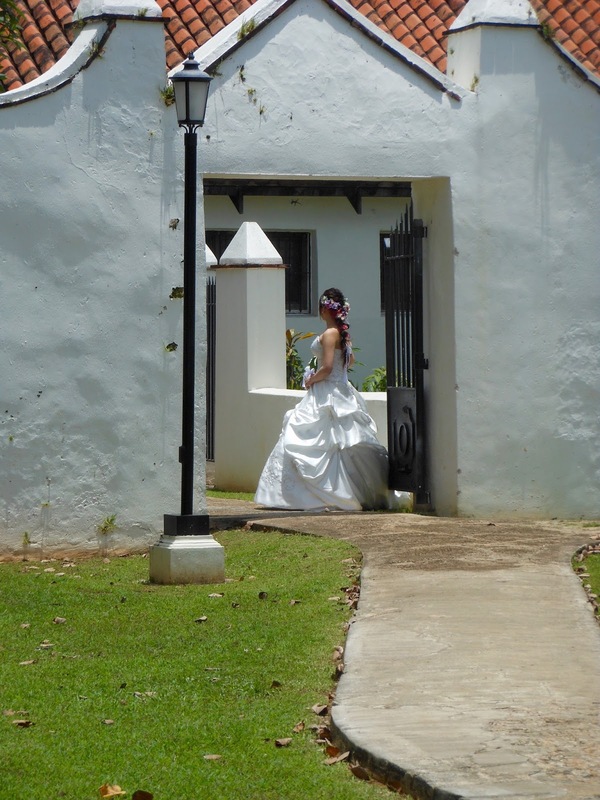 One would wonder if the lady in white is The Lady In White or a bride! 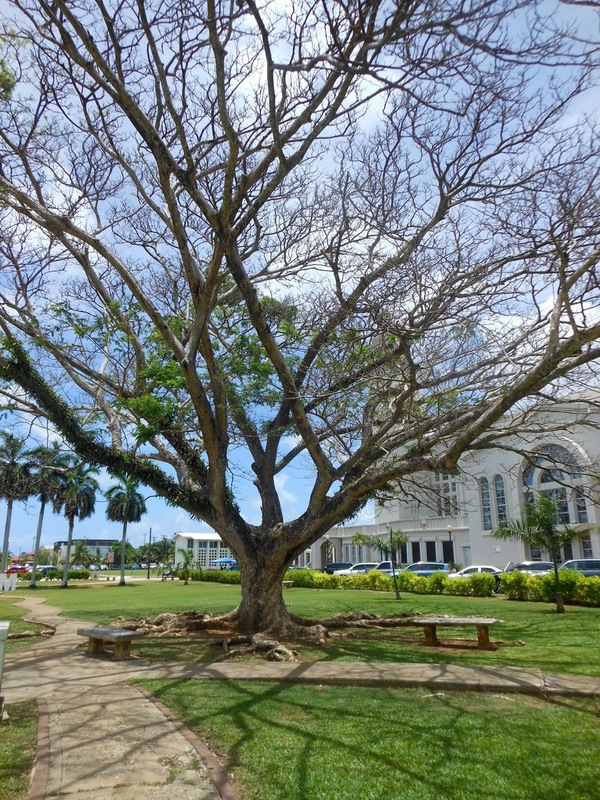 Thank you for sharing such lovely photos and information, Pamela. Kisses!!! Beautiful grounds and buildings, white plastered with tile roofs. I think that would be a lovely setting for a wedding. 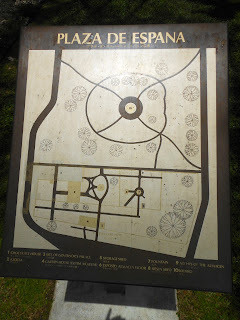 Another lovely place to visit. 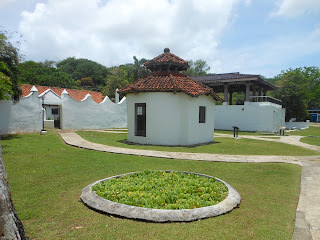 Thank you for sharing, an interesting place to visit. 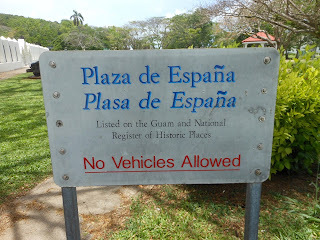 That's a lot of history for such a small island! 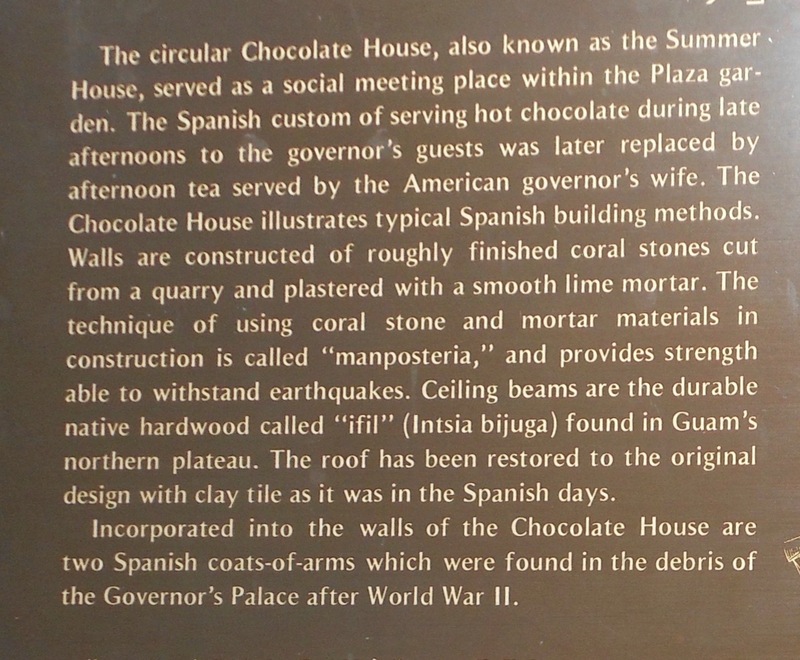 I do love the idea of a chocolate house.